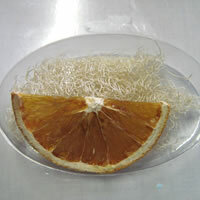 Crafting with soap is a fun and relatively easy activity. 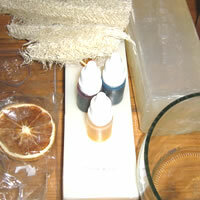 All you need to get started is some melt and pour moulding soap, a soap mould, liquid colouring, some scented oil and a safe pan or pot to melt the soap in. There are many thngs one can use as a mould for soap making, such as chocolate moulds, plastic containers or even muffin trays! Because of the translucency of the soap, adding decorations and creating spectacular shapes, forms and finishes with your soap is easy and fun. 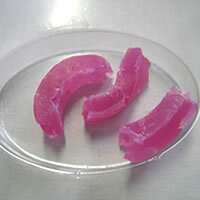 Soap moulds come in both one-piece and two-piece form, with various shapes and sizes to choose from. 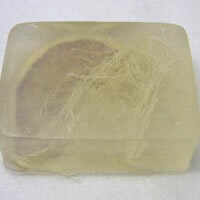 Making beautiful handmade soap is a great way to give someone a special gift. Unfragranced Melt and Pour soap. Read through all the instructions first before starting this craft. 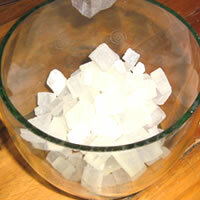 Cut the melt and pour soap into small pieces and put in the glass bowl. 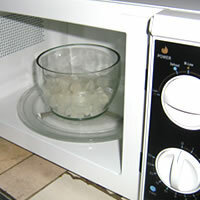 Place bowl in microwave and microwave until melted - approximately half a minute. TIP: Do not boil the soap as the bubbles make the soap look odd. Melt the soap until most of it has melted but there are still a few lumps unmelted. Stir gently until all the soap lumps have melted. 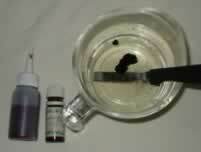 Remove from the microwave oven and add 3 drops of food colouring and a small amount of essential oils. 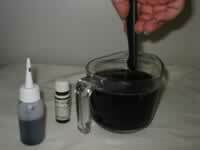 Stir the soap until the food colouring is evenly mixed. 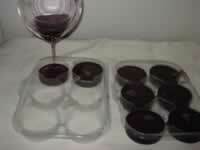 Spray the moulds with spray and cook, and then arrange your embellishments in the mould. 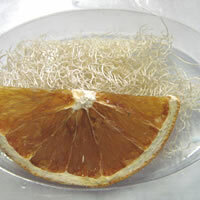 You could use virtually anything in your soap, but we like using natural ingredients, such as slices of dried orange or herbs. 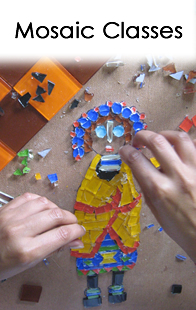 Carefully pour the melted soap into the moulds, covering your embellishments. Place moulds in the deep freeze until set. 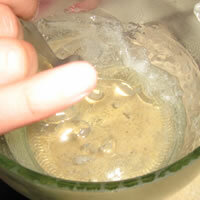 If you don't have a freezer you can let the soap set naturally, but they will be much harder to remove from the moulds. Once set, turn upside down and press out of the moulds. Your soap is done and can be wrapped in cellophane, labeled and given away as beautiful handmade gifts or sold at a craft market.